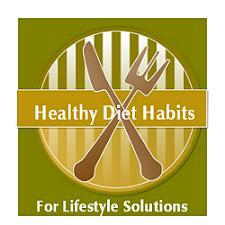 Preparing homemade healthy granola is a simple healthy diet habit that's sure to please all. Variations abound depending on your favorite additions and what is located in your pantry on any given day! This generic version can be modified in so many ways to suit your preferences. I have made it many times though, and pushed the limit of fat. 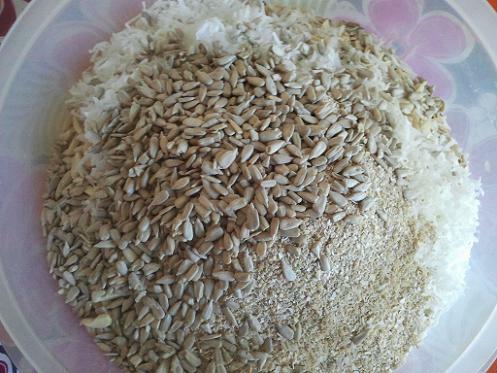 If you do not add enough fat, it will be dry. I will post the generic version and also the version I regularly make, which is a hit everywhere I pass it out! Pour liquid ingredients over the dry ingredients and coat the mixture well. Place the granola on two large cookie sheets. 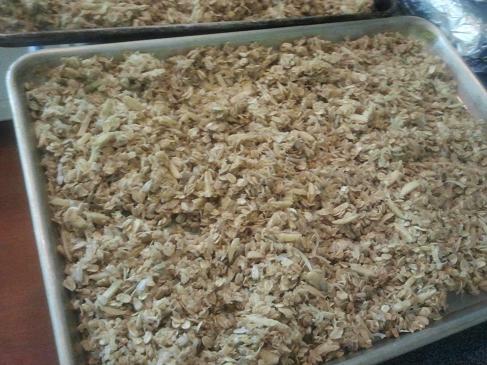 Bake the granola for 30 minutes in a 325 degree oven until it is lightly browned. Stir it every ten minutes so it browns evenly! Remove from oven and let it cool. It will harden up as it cools. 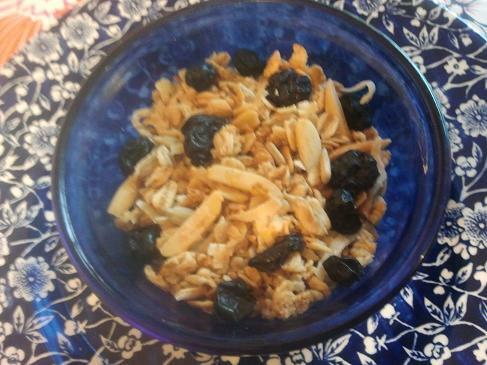 Add 2 cups of dried fruit to the mix when cool or add dried fruit when you serve the granola. We do this because we all like different dried and fresh fruits. Store in an air tight container! If you want your family to avoid junky store bought cereal, it's a great lifestyle solution to make this cereal weekly. No complaints will be heard, unless you run out! *I often make this for Christmas gifts and place a few cups in clear cellophane cute bags! I tie the top and include the recipe. It is such a welcome gift, rather than more baked sweets! I add lots of dried cranberries so it looks awesome!